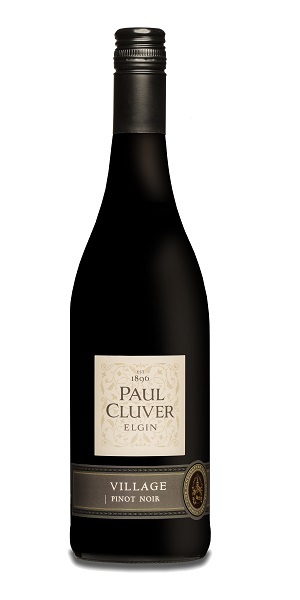 Paul Cluver Village Pinot Noir is an entry level Pinot Noir, created to replicate the village classification in Burgundy. Beautiful aromas of red fruits intermingle with roasted spices followed by a delicious, elegant silky palate of poached ripe plums resulting in medium bodied wine with soft edges. A gently refreshing, light bodied, crunchy redcurrant and cranberry inspired, Pinot which can even be lightly chilled for summer enjoyment. Crafted for drinking now, it has the structure and fruit to be enjoyed for two years and beyond. Serve with rosemary and mustard infused lamb or Asian style fish dishes or vegetarian lentil burgers. A great introduction to the wonderful portfolio of wines from Elgin’s most famous wine estate.